A few days ago I got a call from my mom, one I have been expecting and afraid of for the past few years. 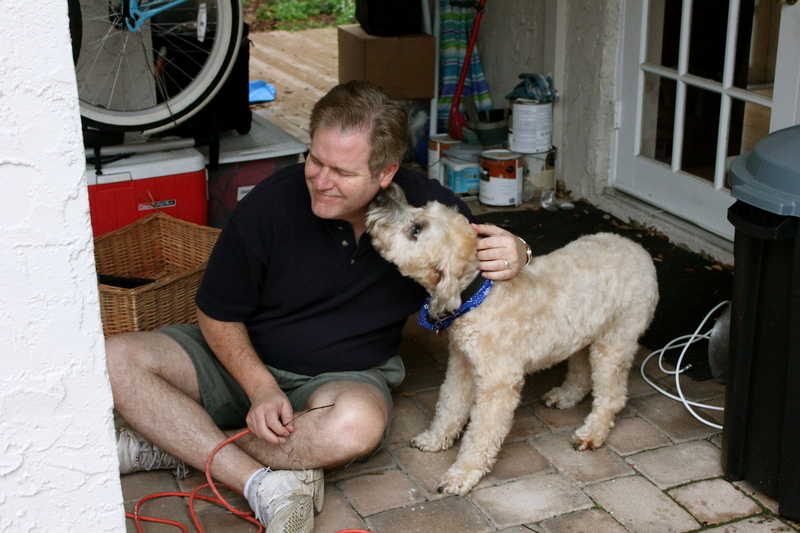 Chester, my 14 year old Wheaten Terrier, is not doing well. As she was telling me this through quiet sobs, I told myself “you have been expecting this. You knew this would happen, be strong and don’t cry.” I did cry. No matter how much you try to prepare yourself for the death of a human friend or a pet, it still hurts. It’s not an emergency, but he will need to be “put down” (I hate that term) by Christmas. I hate the suffering of an animal, but I also hate deciding when it’s time for them to go. 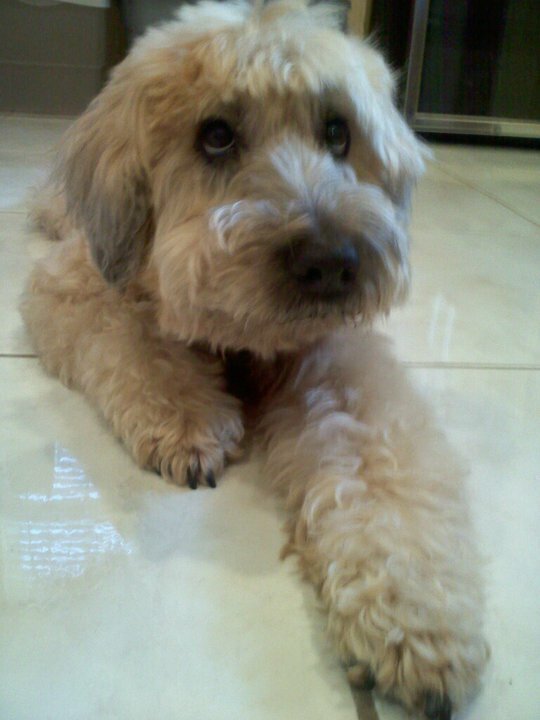 Chester has been a part of our family for the past 14 years, since 1997! I will never forget the day we got him. I can honestly say it was one of the best days of my life. Dad didn’t want a dog. He had a dog that got hit by a car when he was young and didn’t want to suffer through another beloved animal’s death. After months of begging, crying, screaming, and pleading, he finally gave in. He came home from running errands one Sunday afternoon and found my sisters and I in his bedroom with our mom counting change on the bed. We had hundreds of coins rolled and were working tirelessly on the rest. He asked what we were doing and we simply said “getting a dog.” Because of my allergies, we needed a hypoallergenic dog, a Wheaten Terrier or Poodle for example. Each breed is about $1,000 per dog, so it is pretty funny looking back on us counting pennies, nickels, dimes, and quarters thinking that would help. Turns out it did! Not so much monetarily, but I’m sure the sight of his girls counting change to buy a dog tugged on the heart strings. 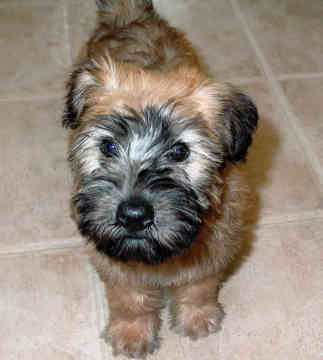 We drove to a Wheaten Terrier breeder’s house, she was absolutely out of her mind. Are all dog breeders crazy?? We played with all of the puppies and absolutely fell in love. It was going to be such a hard decision, how do you pick just one? The answer suddenly became clear. Sitting on the wooden porch, my sister Christina (in kindergarten) had the runt of the litter on her lap. His fluffy paws were wrapped around her neck and his legs around her waist, hugging her. There they sat, as happy as could be. That night we took home our very first puppy, and we named Chester. He was immediately a part of the family. Not Chester, but this pup is identical to what he looked like that day! I firmly believe that the more nicknames a person has, the more they are loved. The same goes for pets, and Chester had countless nicknames. I sometimes wonder if he ever really learned his real name. He is called Saucy Pants, Sausage Man, Cheesy Mama, Cheesepuff, Chaucer, Saucer, Sesser, Chestermolester, Charles, Chauzz…the list goes on and on. 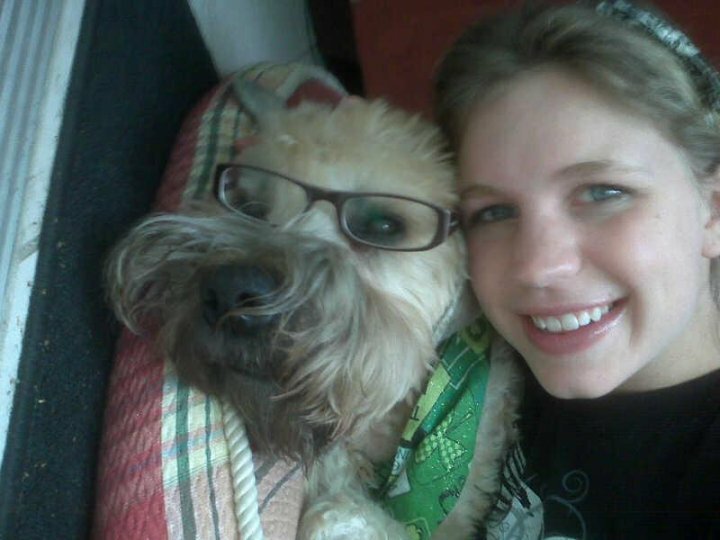 A few years ago, I taught Chester a series of behaviors. Whoever says an old dog can’t learn new tricks is wrong! An 11 year old dog learned to give high five’s, growl on command, bark on command, and target on any object. He LOVED learning all of the new behaviors! It got to the point that when I would walk in the house, he would run up to me and start doing all of his tricks in a row without being asked. To outsiders, he probably looked schizophrenic and slightly violent. Growl, bark, jump up with both paws stretched out, and repeat. He couldn’t get enough of our training sessions. It hurts my heart to think of Chester not being with us. I feel so happy though that he has had such a pampered and wonderful life with 4 sisters, 2 parents, and one chihuahua friend. 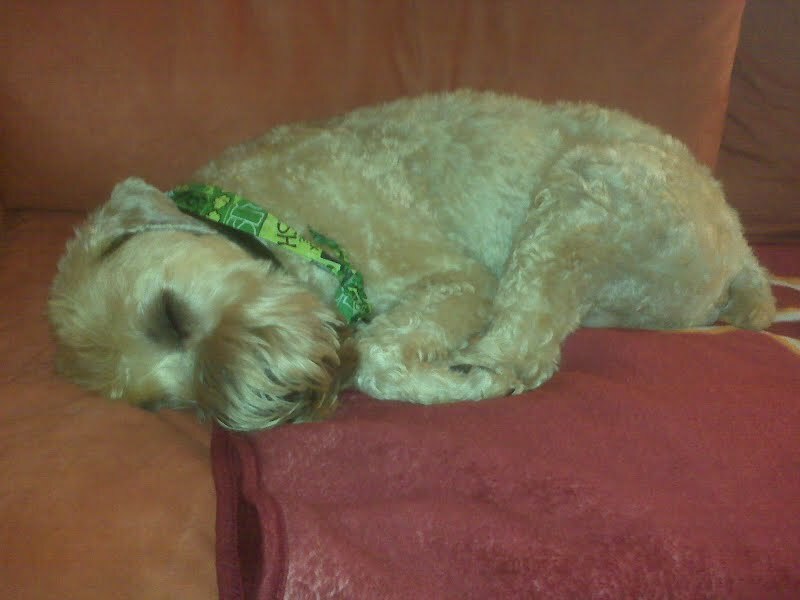 He has fit in perfectly with the Peterson family considering his food allergies and anxiety disorder! Chester has been a pillow, a footrest, a jogging partner, a hide and go seeker, a road trip buddy, a therapist, and a friend. 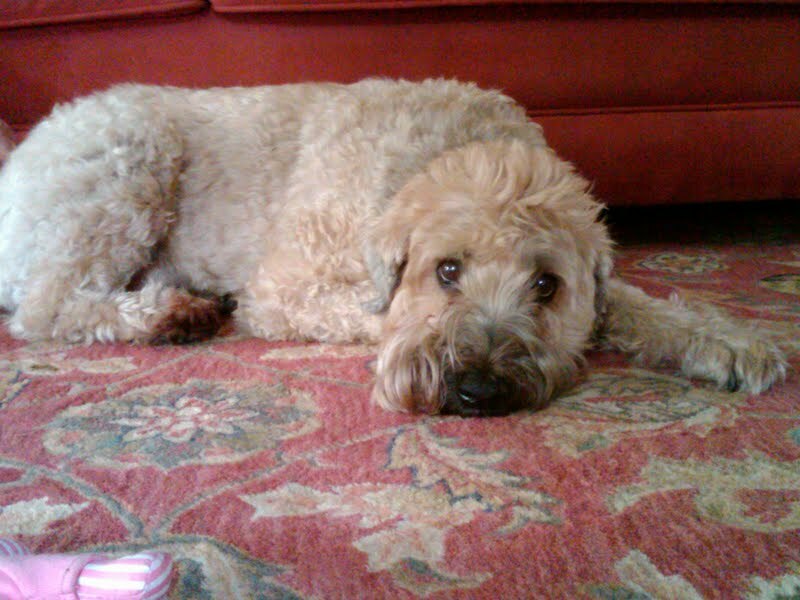 My sweet Chester, you are my favorite part of coming home and the hardest part about leaving. I pray that these last few weeks with us will be painless and special for you, full of treats and love. Help us get through these next few weeks ol’ man. What a heartwarming remembrance of a special friend! Thank you for sharing these memories at this difficult time. We will all miss Chester. Aw court this was such a beautiful “ode to chester” if you will.. he has been such an amazing dog and really has lived a life full of pampering and constant love. I still can’t even comprehend the fact that we are supposed to make the decision of when it will be his time to go, but I know that God will make it clear to us when he wants our amazing pup up with him. It’s so amazing because at the age of (almost) 14, although almost completely blind and fully deaf he can still do many of the behaviors you taught him years ago. He is still the best shoulder to cry on that I know, it’s amazing how he can be so awkward and quirky but when upset, he will not leave you alone filling your face, arms and legs with kisses.. which in turn gives us hives, but that’s beside the point! I love you so much and thank you for this post, it really has helped me remember some of the best moments of Chester’s 14 years that we have been blessed to have him. There aren’t really any words to make this any better, just want you know that I will certainly miss that crazy dog too!